Magazines have been popular for decades, and in the past decade, it’s been in a tailspin since the internet became a quick source available to those who require information. Nonetheless, there is still plenty of room for magazines, and there is nothing that can replace the touchable motorcycle magazines, entertaining motorcyclist brains, spark the imagination of bike lovers or whet the appetite of new motorcyclists. The most favoured magazines are those offering clear points of view, superb content and outstanding quality photography as well as sharing the love of riding. 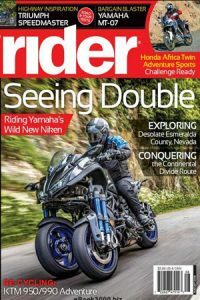 According to sales and distribution statistics, there are several motorcycle magazines that have hardly been affected by the ocean of information available online. This East Coast-based magazine covers all the classics and new American made bikes. Its most favoured sections include the reader-submitted travel stories as well as the project’s articles offered in a step-by-step style. V-twin motorcycles with saddlebags are known as baggers, and the Baggers magazine covers everything from wild customs to new factory bikes, while it also features all the latest trends. 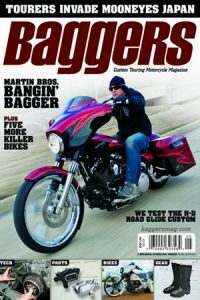 Bagger bikes are most favoured for travelling or touring, and the magazine features several touring and travel articles as well as how-to trip reports. In 1962, the legendary Joe Parkhurst started the publication of Cycle World as part of the publications of the Bonnier Family, also known for other magazines such as Sports Rider, Baggers, Hot Bike and Motorcyclist. Cycle World covers it all from dual sports bikes to full-dress tourers, and all motorcycles in-between. Some of the most popular articles include the essay of the former monthly columnist Peter Egan, gear reviews, Nick Ienatsch’s riding instructions and the long-term bike reports. This is one of the most loved magazines and is officially part of the H.O.G. the Harley Owners Group. 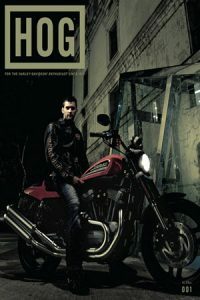 It is a members-only magazine, which many see as one of the biggest benefits of membership of the H.O.G. It offers an array of bike information, pages of gear and products and it is packed with the history and lore of rallies, motorcycle history and so much more. Published for the first time in 1012, it is the oldest published motorcycle magazine worldwide, and since 2013, Motorcyclist is part of the Bonnier Group. The magazine enjoyed a complete makeover in 2017 and continued to offer exceptionally high-quality content printed on top quality paper, with the favourite contributors including Jack Lewis and Keith Code. Any motorcyclist interested in a whole range of motorcycling articles is bound to know about Rider, its features excellent quality photographs, while the range of in-depth information in the content is what keeps this magazine one of the tops. Both Greg Drevenstedt and Mark Tuttle are tireless motorcyclists knowing how to capture the minds of riders, while Clement Salvadori’s monthly column offers all you need regarding travels as well as articles about motorcycling. With such a fab selection of magazines, there is no shortage of information riders can enjoy in between rallies, rides and motorcycle tours.